Resident Evil 7: Biohazard has surpassed 5.1 million copies sold, which has jumped it past Resident Evil and Resident Evil 2 to the fourth best-selling game in series history. This number is notably up from the 4.8 million reported back on January 31st, and means that the survival horror title sold another 300,000 copies in the two months since. Meanwhile, last April the game had notably been at 3.5 million copies sold, which means in the year since it has sold roughly 1.6 million copies. It currently still trails Resident Evil 5 (10.6 million), Resident Evil 6 (8.4 million), and Resident Evil 4 (7 million). And as you can see it might take awhile before the new entry catches any of these. Most likely, it will never pass any, and if it does pass any, it will likely just be Resident Evil 4. As Capcom notes, the sales were likely help pushed by the release of the Resident Evil 7 Biohazard Gold Edition in December, which featured not only the base game, but the season pass content as well. Despite being the now fourth best-selling game in the series, the game has notably been a sales disappointment for Capcom, who expected to initially sell more copies than it did. However, perhaps copies sold on the tail can make up for this. 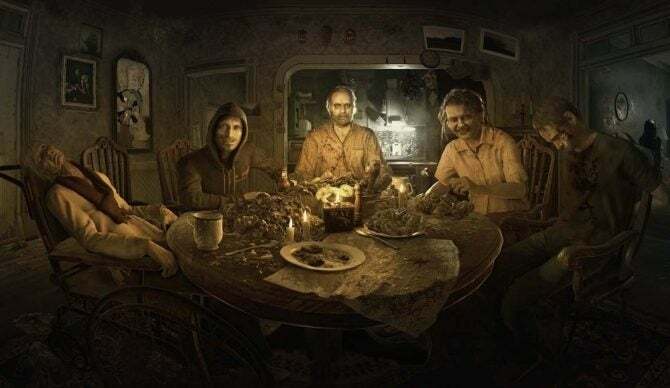 Resident Evil 7 biohazard is the next major entry in the renowned Resident Evil series and sets a new course for the franchise as it leverages its roots and opens the door to a truly terrifying horror experience. A dramatic new shift for the series to first person view in a photorealistic style powered by Capcom’s new RE Engine, Resident Evil 7 delivers an unprecedented level of immersion that brings the thrilling horror up close and personal. Set in modern day rural America and taking place after the dramatic events of Resident Evil 6, players experience the terror directly from the first person perspective. Resident Evil 7 embodies the series’ signature gameplay elements of exploration and tense atmosphere that first coined “survival horror” some twenty years ago; meanwhile, a complete refresh of gameplay systems simultaneously propels the survival horror experience to the next level.